The January, 2018 meeting was attended by 35 members. Many of our members attended the Mancuso World Quilt Florida show in Orlando. (Absent members were missed, but we look forward to hearing all about the show). We had 1 guest, Maryann McEvoy, who attended with Brenda Zimmerman. Congratulations to Anita Thompson who won the Name Tag Raffle. We will be making lap size quilts using the French Braid design. Instructions by Lindsay Conner can be found at or visit the instructions posted on the our blog. 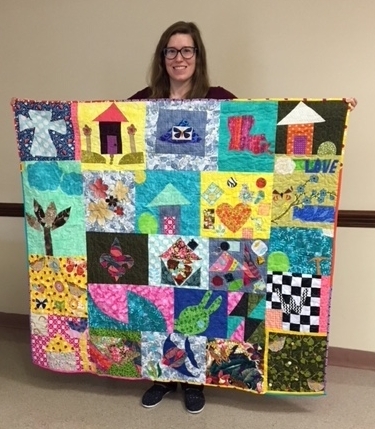 Quilts will be donated to the Menorah House Nursing & Rehabilitation Center in Boca Raton, FL. Registration is open for the Katie Pederson lecture and workshop.